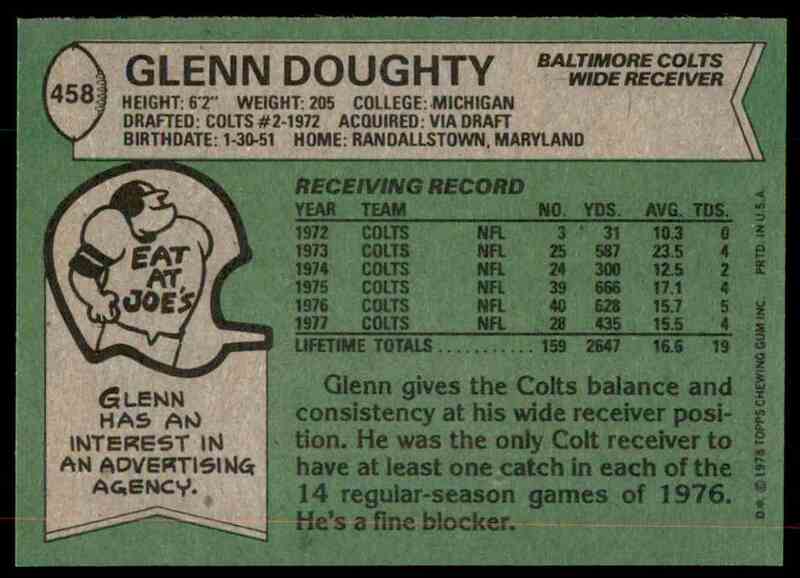 This is a Football trading card of Glenn Doughty. 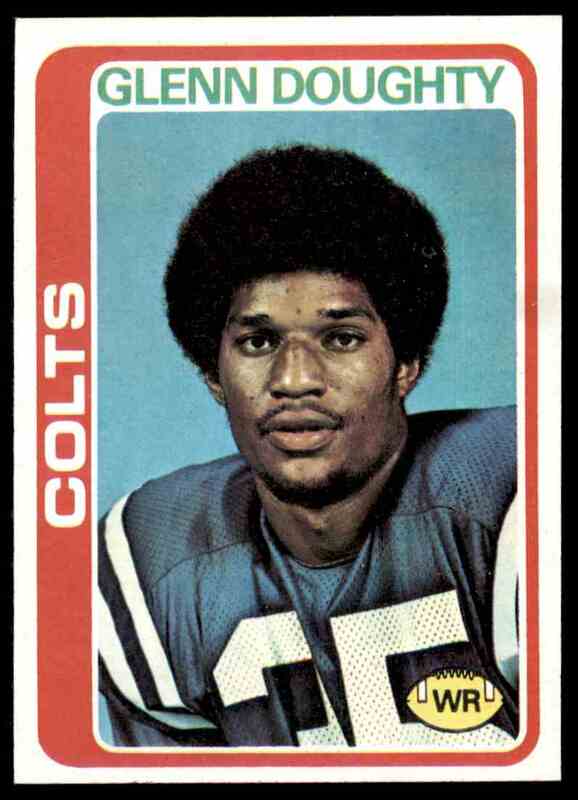 It comes from the 1978 Topps Football set, card number 458. Mint Well Centered Ultra Hi-Grade Blr4h1. It is for sale at a price of $ 1.49. Welcome to mintandcentered trading cards store. I opened SetBreakers on Wednesday, May 17, 2017 and I have 56494 cards for sale. Please note that I ship from USA.